Share the fun with a friend, family member, co-worker or loved one with a Paint Sesh Gift Card. 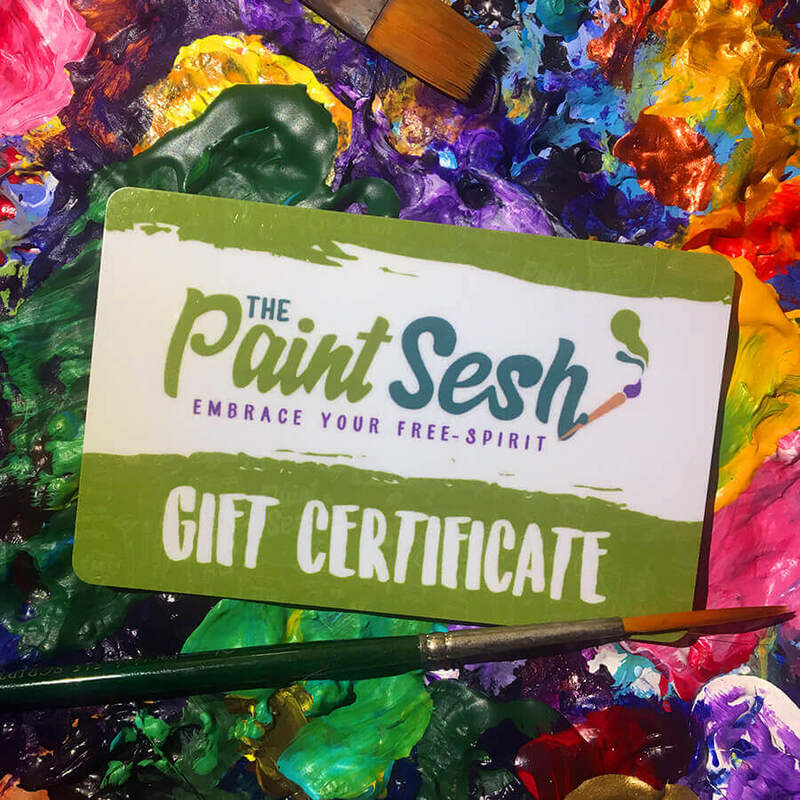 These gift cards can be applied to any of our public events or can be used as credit towards booking one of our private events at ThePaintSesh.com. Pick from one of our pre-selected denominations or enter the amount you’d like to gift. Gift Certificates will be processed and shipped within 24-48hrs from purchase. 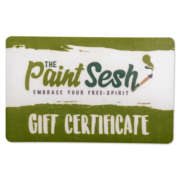 How do I redeem a The Paint Sesh Gift Card? Redeem your Gift Card by purchasing Sesh’s or event passes online. For online purchases, enter the 16-digit card number for each card being used during checkout. Select “apply” after entering the card number, and the Gift Card will be applied to your order. There is no limit on the quantity of Gift Cards you can redeem per purchase. What if my online order total exceeds the value of my Gift Card? To pay for the difference, enter an additional Gift Card number or use a credit card. If I spend less than the amount of my Gift Card, what happens to the remaining balance? Any unused balance will remain on your Gift Card. You can check the balance online or at any The Paint Sesh retail store. The Gift Card cannot be redeemed for cash unless otherwise required by applicable law. 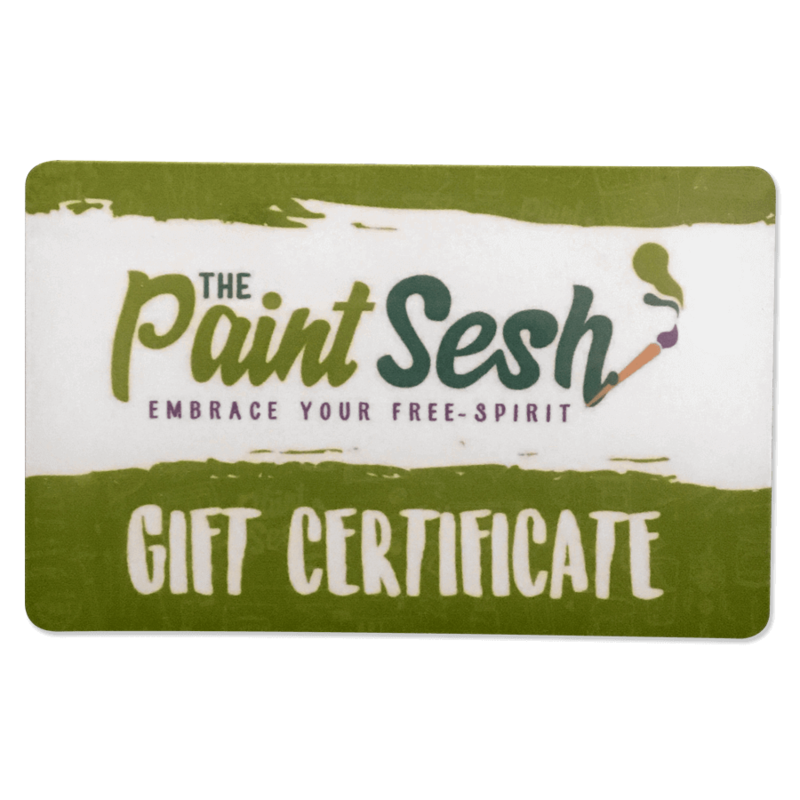 Does my The Paint Sesh Gift Card have an expiration date? No. Gift Cards have no expiration dates and no maintenance fees. 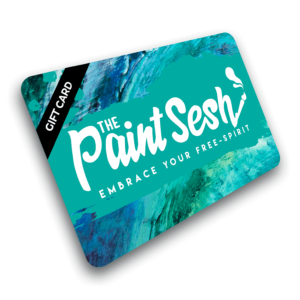 How do I check the balance of my The Paint Sesh Gift Card? To check your Gift Card balance, please contact customer service at [email protected]. Please be sure to include your card number in this email. 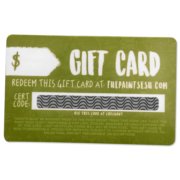 What should I do if my The Paint Sesh Gift Card is lost or stolen? Protect your card as you would cash. If lost or stolen, a Gift Card cannot be replaced without the original sales receipt. Replacement value will be the remaining value on the card at the time you report the loss or theft. To report a lost or stolen card contact customer service at [email protected]. What is your return policy on purchases made using Gift Cards? You may return items paid for by Gift Cards in accordance with our regular Return Policy. Refunds will be issued in the form of a Store Credit (card), which is valid for the payment of merchandise online. If making an online purchase, please keep your Gift Card Info until you have received the item(s). It's an electronic gift card! 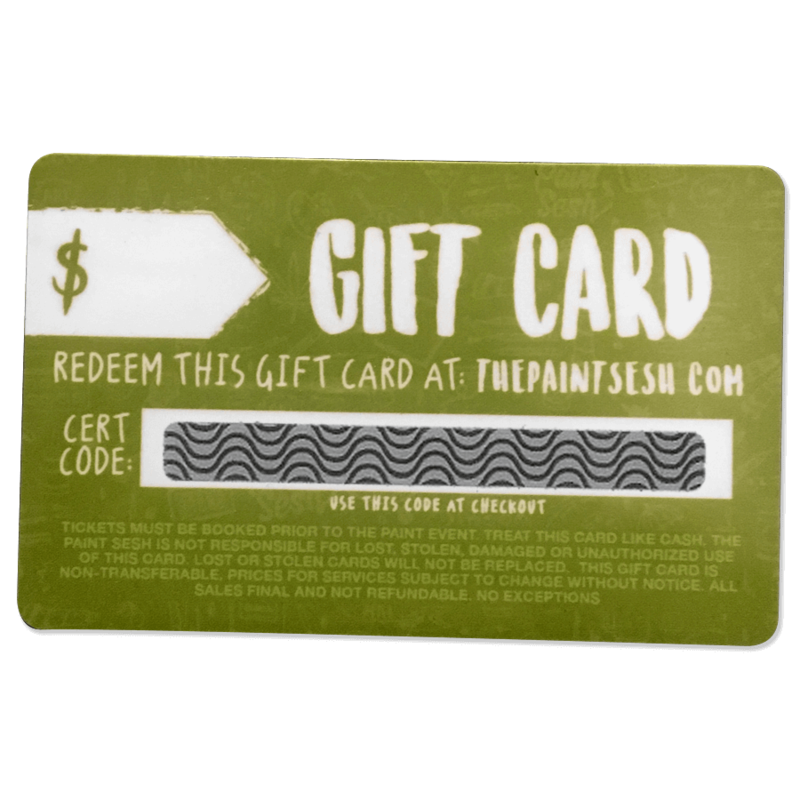 The Paint Sesh E-Gift Cards arrive via e-mail to the e-mail address you specify during checkout. Purchaser is responsible for providing a deliverable e-mail address. A plastic gift card will not be sent. 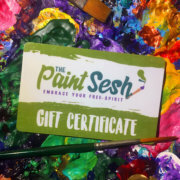 Your gift recipient can then use their E-Gift Card to buy anything available on ThePaintSesh.com. How long will it take for my E-Gift Card to arrive? Your E-Gift Card will arrive quickly. In most cases, it will reach the gift recipient's e-mail address in about 24 hours. 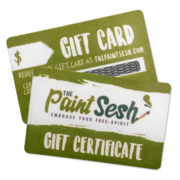 Delivery of all The Paint Sesh E-Gift Cards will be electronic and is subject to payment authorization barring any technical difficulties.